Veganism is having a moment. And it’s Veganuary — or vegan January — too. So, because it’s on a high, it’s evidently got too big for its boots. Time to give it a good kicking, right? Here’s Yasmin Alibhai-Brown’s opinion piece in the i. “Sanctimonious” vegans are ‘not nearly as good as they think’ she says. And she levels blame on them for driving avocado and quinoa prices rocketing, to the detriment of native growers, when it’s plain to see that these foods are available to non-vegans too, and have probably been feted more by ‘clean eating’ and gluten-free consumers, respectively, than by vegans. Here’s Max Pemberton in the Daily Mail, bafflingly conflating veganism with the pseudo-science of detox, insulting the vegan ‘brigade’, tarring all with the same militant, nutritionally-illiterate brush — and, most unforgivably given this is a doctor, likening it to an eating disorder. To have published this in a paper renowned for both encouraging restricted diets and for damning those who choose to follow one, was particularly galling. Perhaps a vegan will jump in and correct me, but it seems to me that veganism is not about the food, per se — but about rejecting dominance over animals, a point commentators mostly ignore. Remember that there are overweight vegans out there, who laugh at clean eaters, and rejoice at their ‘accidental vegan’ finds of jammy dodgers and sherbet dips. And the extreme caricature of the evangelical, out-to-convert-the-world, animal-rights activist may suit those with an irrational dislike of vegans or the lifestyle’s sudden popularity — but doesn’t reflect my experience of interviewing many over the years. The ones I know are as nice and ordinary as everyone else. Should it be all about ‘Choice’? That the vegan ‘lifestyle’ is a ‘choice’ is always a matter which is bubbling under in discussions of free from, and it boiled over the last week, following Starbucks decision to introduce an oat-milk dairy alternative. Their announcement is here, and the responses — roughly 60:40 in favour and support — are interesting. The oat milk, it transpires, is not Rude Health’s Gluten Free Oat milk, but Starbuck’s own blend, and ‘contains gluten’. The levels are unclear, but if (a big if, I admit) it’s on a par with Oatly milk — which is not GF but contains around 100ppm — then I expect the risk to those with coeliac of cross-contamination is very small. A trace of residual oat milk from a steam nozzle used in a coffee will contain far, far less gluten than the trace in the amount of GF oat milk one might ordinarily have in a coffee and, as such, will not make a GF-oat-consuming coeliac ill — especially if they request a nozzle wipe first. But this hasn’t stopped a few coeliacs being very, very angry at Starbucks, accusing them of ‘pandering’ to vegans, threatening complaints, boycotts, and declaring themselves ‘disgusted’. Blogger GlutenShe — also a critic — collected some of the dissent in her very readable post here. As I said in a short thread on Twitter, I don’t believe coeliacs have a greater right to be fed by food service providers than vegans on the basis that their disease is not the choice they see veganism to be. First, some vegans don’t consider it a choice — but the only humane way to live. And while the consequences of inadvertently consuming milk or meat may not be day-long diarrhoea, a vegan could be affected in other ways. I don’t think it’s up to coeliacs to determine health the most important factor in this discussion, simply because it is so for them. Some vegans adore animals and are broken-hearted at the concept of eating them — why is it OK to dismiss, mock or mark that down as secondary to one’s own situation? We all have the same right to be served. That right is zero. Nobody owns a prerogative to demand a particular product be provided to them. I dislike “I’m more important than you” attitudes in free from. We are in it together. 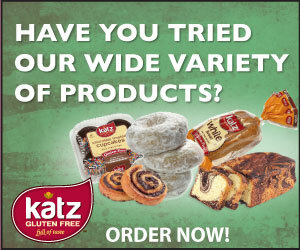 Vegans, like gluten-free ‘lifestylers’, have done a lot to drive the ‘free from’ market forward — and coeliacs continue to benefit. It’s not a contest. Vegans are not coeliacs’ competitors. GF dominates around 90% of the free from aisle — how do you think they feel at your fury at their being given another vegan option? It’s foolish to expect every provider in the land make every subsequent catering or business decision in favour of food allergy folk or coeliacs — some, bluntly, are going to be in favour of vegetarians, vegans, and those following halal or kosher, all non-medical. Some — hold on to your armrests — are going to be for everyone else who eat what they like. The next five ‘free from’ food launches will be gluten free. The next five restaurants will have a gluten free menu. This one didn’t go your way. You’ve got it far, far better than those with multiple food allergies and phenylketonuria. I’m on your side, coeliacs, but take a deep breath. I know it’s a bit frustrating, a possible inconvenience, even maddening — and yes, perhaps Starbuck’s didn’t think this through, and could have handled it better (they may still change their minds or clarify or improve the situation). But seriously people — it’s coffee. And that’s life. You’re big enough to deal with it, aren’t you? I’m vegan and coeliac. Your text is really great. The fact that no one notices vegan isn’t a choice for the humane, sensitive and ethical. As a coeliac, I am frustrated with all the ignorance and contamination, but this is too much. Like you said, it’s only coffee. But what it comes down to is just ordinary people being selfish, whether they’re coeliac or vegan, or both. Everyone only looks out for themselves and these lifestyles, or choices, call them whatever you want, could just be a good excuse. We don’t have Starbucks in my country but thank you for a great text and a different perspective.